Below is the list of advertising opportunities our site offers to partners and sponsors. To review pricing and sponsorship tiers, please follow the link below. For more information, please contact us at info@mohawkvalleyhistory.com. 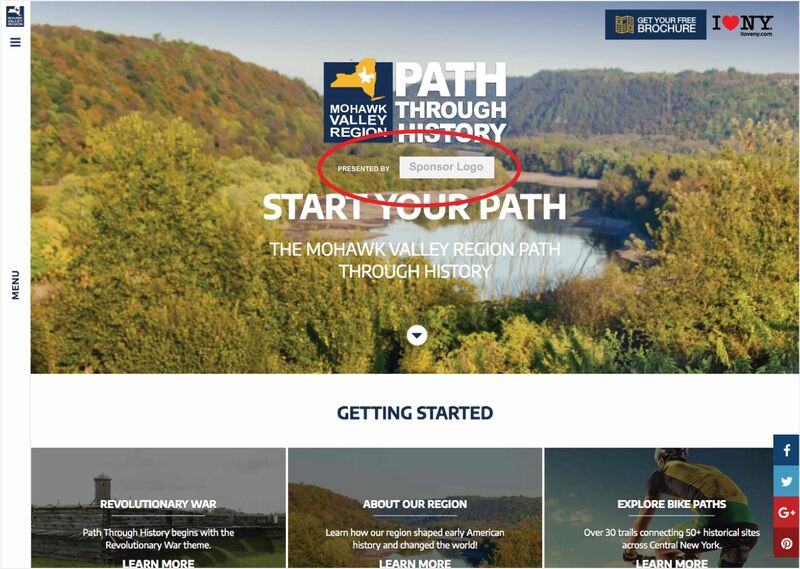 Your logo will be featured just below the Mohawk Valley Path Through History logo on our main homepage banner. Logo will be clickable and lead to your company's web address. 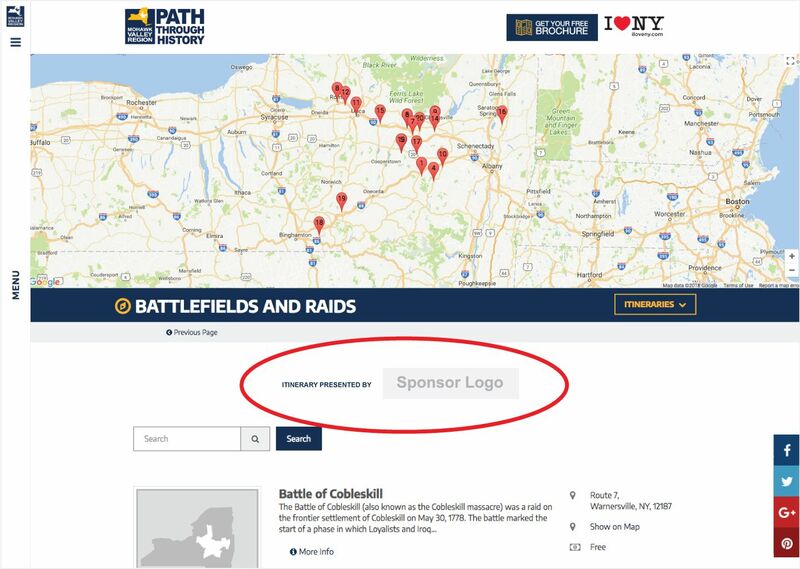 Your company name/logo will be featured in the main header area for all Bike Thru History pages including all routes and details pages. Advertise your company just below the title section on subpages. 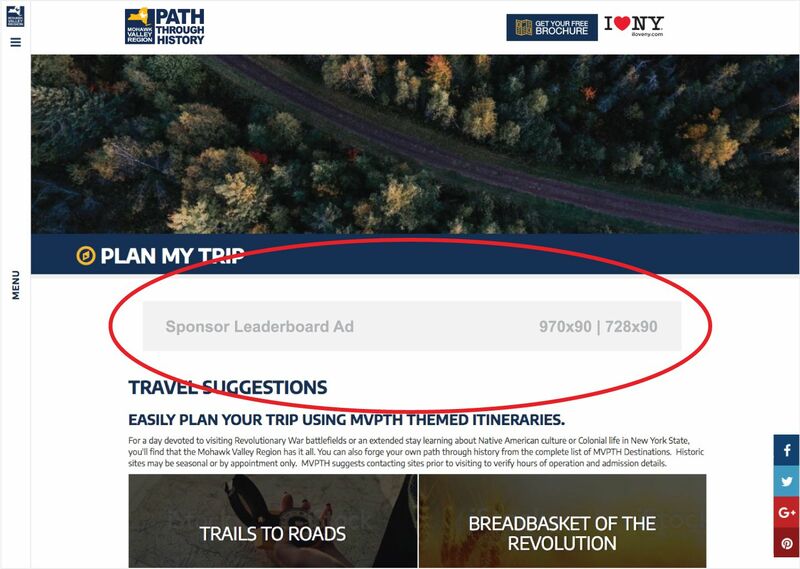 Your company's leaderboard ad will be featured on all subpages. 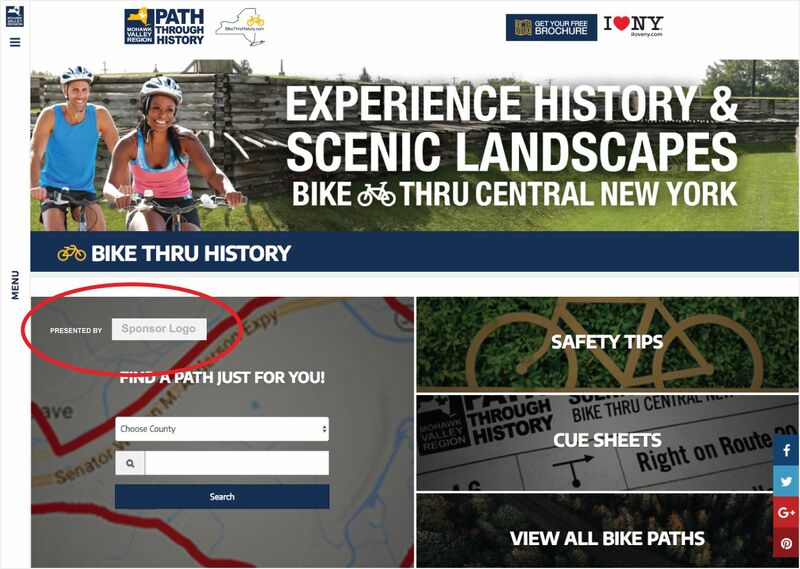 Your company name/logo will be featured as the presenting our Bike Routes search panel. Your company's leaderboard ad will be featured just above the footer on all subpages across the site. Our site offers over 30+ bike routes, select a specific route for your company to sponsor. 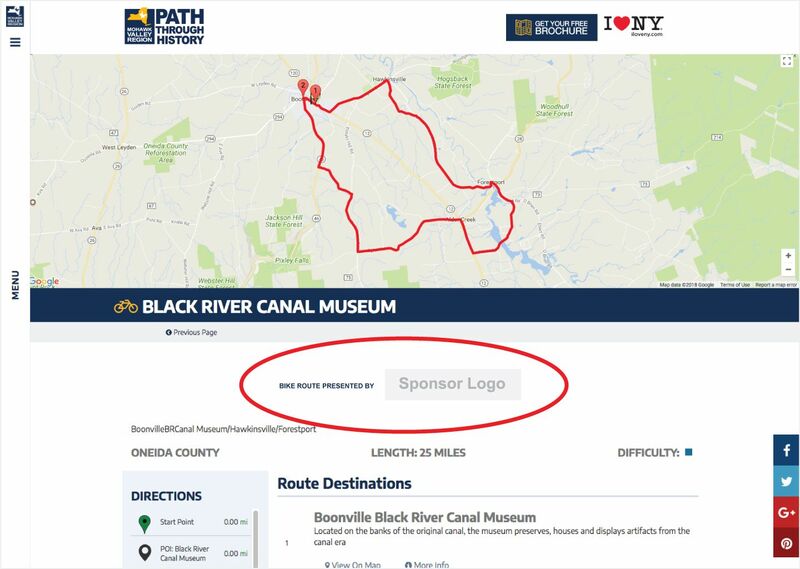 Your company name/logo will be featured above the trail's details. Brand one of our historically themed itineraries with your company name/logo. 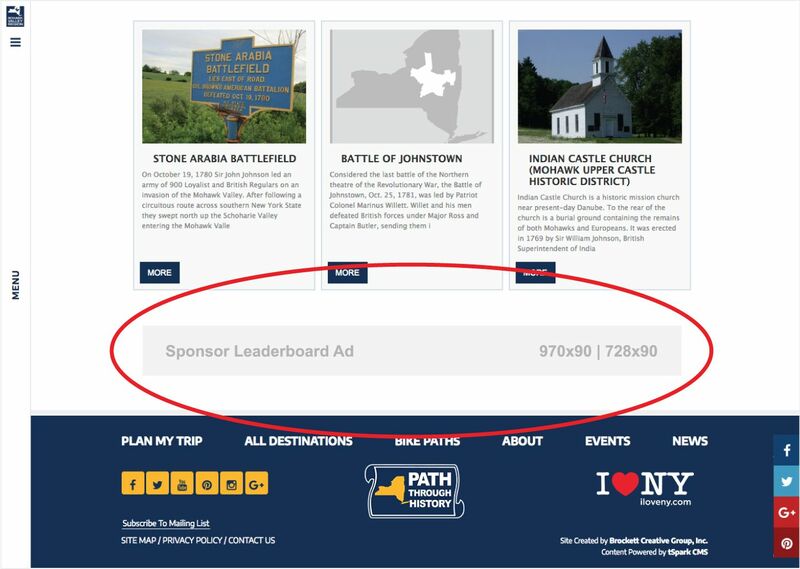 Your company name/logo will be featured above the destinations list for that specific itinerary. Add your shop to our Bike Shop listing page. Our directory features bike shops across all of New York state. Your company name, logo, and link to website will be featured on our Partners page. Need an ad designed? Contact Brockett Creative Group today!